Hundreds of acres of pristine National Forest and waterfront property were developed “back in the day” when government land like this could be acquired. An abundance of many varieties of mature trees create a setting of nature at its best. The development, now known as Cherry Branch, has become a large community of quality homes with beautiful yards. Each home has a large lot with plenty of space to raise a family or grow a garden. An established and active homeowners association manages a pool as well as other amenities. Cherry Branch has a mix of military, retired, civil service and local business people. It’s a single-family home type neighborhood for all. The area is served by the county water system and a local volunteer fire department adjacent to the premises. The Cherry Branch community is located in Craven County with a Havelock, NC, mailing address. Cherry Branch is the also the site of the southern location for the Neuse River ferry. Take a pleasant but brief ride to the other side of the river to visit the beautiful sailing capital of Oriental, Arapahoe and other quaint communities of Pamlico County. 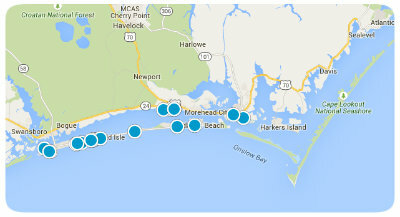 MCAS Cherry Point, just 9 miles southwest, is also a close destination (without a ferry ride.) Within 30 minutes you can be in historical Beaufort, NC. If you’re looking for a place to own a nice home, a place where you can have your “space” yet still be close enough to everywhere, Cherry Branch is a “must” destination for your consideration. 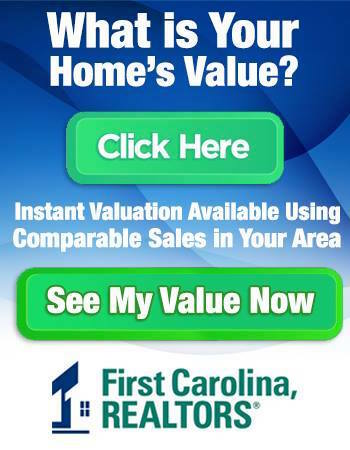 First Carolina, REALTORS®, has been active in the marketing of homes in the various sections of the Cherry Branch–Cherry Branch, Cherry Branch West and Cherry Branch South–from its beginning. Home currently available for purchase and the prices of Cherry Branch listings can be found on the First Carolina, REALTORS®, website.